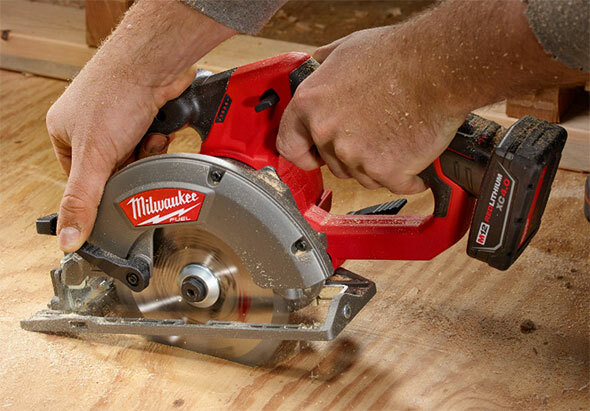 ToolGuyd > Power Tools > Saws > Jigsaw or Circular Saw – Which Should a DIYer Buy First? Doug wrote in with an interesting question, and one that a lot of homeowners, DIYers, and beginner woodworkers face at one time or another. If you were an average homeowner, which saw would you want first? A friend of mine just got her first home, and likes to do small projects. I thought of getting her a circular saw but got to thinking, maybe a jig saw would be a better choice? You could always cut a few 2x’s with the jig if you had to, but you are never going to cut any curves with the circular? A metal cutting blade in the jig could cut down the shower rod or threshold strip a lot easier. A jig saw is safer, but this woman is more than competent and has built decks and taken the lead on sheathing roofs for habitat so my concern is best bang for the buck, most versatile, and most useful for a single woman homeowner. After giving this much thought, and reflecting back to my own purchase decisions, I’m going to say that a jig saw is the better choice as one’s first power saw. This might not be true for everyone, but maybe my rationale will help. A jig saw, equipped with the proper blade, can handle many different types of cuts, and in different types of material. Back when I bought my first jig saw, I eventually paid more for clamping straightedge cutting guides than it would have cost to buy an inexpensive circular saw. But at the time I didn’t have much space to use or store tools, or I might not have been thinking clearly. Jig saws are not ideal for making long straight cuts in sheet materials. But you know what can make long straight cuts in sheet goods, such as plywood? The home improvement store or lumber yard where you go to buy your raw materials. They’ve got panel saws that make quick work of sheet goods. The first cut is free, after that there’s a minor cost – something like 25 cents per cut. A jig saw can cut 2x4s and other 2x boards with reasonable ease and straightness, and you can just use a rafter square or similar as a basic straightedge cutting guide. There’s also how jig saws can make cuts of any shape or size. You can even cut shapes out of the middle of a workpiece, granted that you start the cuts with strategically drilled holes. Years ago, when I started buying my own power tools, I opted to buy a good Bosch jig saw than to spend less on homeowner brands of jig and circular saws. Was it the right choice? Honestly, I don’t know, but I have never once regretted my purchasing decision. After that, my next saw purchase was for a Craftsman 10-inch miter saw. My circular saw purchase only came after that, and it was for a Festool track saw. I had used circular saws before that, but kept putting off the purchase until I saved up for the Festool. Without room for a table saw, and tired of working with frustrating edge guides, I looked to the Festool for breaking down sheet goods, and it works like a dream. 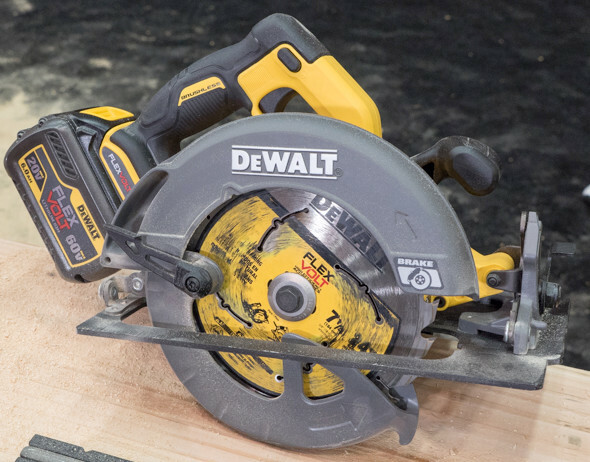 Depending on the project you plan on tackling, a circular saw might be the better choice. You cannot use metal-cutting blades with a wood-cutting circular saw, or at least that’s what I’ve read, due to the motor design and what-not. But they do make fine-cutting blades, non-ferrous and plastic-cutting blades, and plywood blades for super-smooth finishes. Circular saws are often better for making long and straight cuts, with or without a cutting guide. It’s a tough choice to make, but I think that a jig saw is going to be the better choice as a DIYer or homeowner’s first power saw. Oh – and corded. Unless someone has a particular interest in going cordless, or already bought into a cordless system they plan to expand or at least maintain over time, corded yields better bang for the buck. Corded vs. Cordless Tools – Is Now a Good Time to Switch Over? 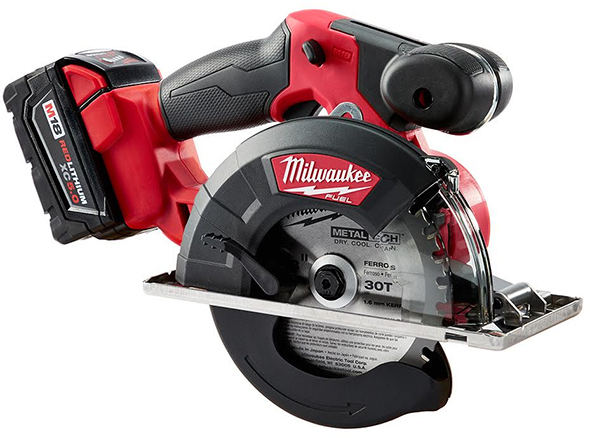 A corded saw, whether you choose a jig saw or circular saw as your first power saws, will last for years, while the batteries of a cordless saw might give out sooner. Battery longevity is better than ever, thanks to the high performance and features of modern Li-ion battery technology, but sooner or later all batteries must be replaced. For a professional, who might get daily use out of a particular tool, cordless is an increasingly better way to go, at least with certain tool categories. But for the homeowner, DIYer, or hobbyist that might only dust off and use their saw a couple of times each year, a corded model will deliver greater bang for the buck. For the same money, a DIYer on a budget can often buy a better corded tool than a cordless one. So that’s my take on the jig saw vs. circular saw purchasing decision. Eventually, an active DIYer or homeowner might have both. But to start off, I think that a jig saw offers greater potential. « Reader Question: What Do You Think About the JackClamp? A decent quality jigsaw first, most definitely. Also I’d much rather have a quality jig and a cheap circ that the other way around. A good blade on a cheap circ can do wonders, but the other way around, not so much. This http://www.amazon.com/Stanley-20-045-15-Inch-Fat-Hand/dp/B00005A1JN/ and maybe http://www.amazon.com/Stanley-0-15-106-15-106A-Coping-Saw/dp/B00002X222/. Then if you have a specific project, go wild on whatever would make it easier. and – then I’d get a solid Recip saw next. (again Milwaukee, Dewalt come to mind first here) when a job presented it self for use – like replacing a door. and I’d never even think about getting a circular saw. In fact I don’t own one – I skipped that and saved my scheckels till I could buy a decent portable table saw. Do you use a recip saw for sizing doors? I hang doors all day long and its a circular saw and planer for me. Absolutely, but most people don’t hang doors. I occasionally have to adjust the fit of doors and frames. Jigsaw wouldn’t cut straight enough for that, recip saw either. no – I don’t daily as part of my job. as a home owner the 2 times I’ve had to do it I’ve used. 1) worked it out with a dremel and it’s guide attachment – vs using a planer. and 2nd time I used my nifty table saw – and then the dremel and guide. but the question here wasn’t for a contractor/daily job person – it was for a first time home owner buying a first saw. Also that first door I set was a exterior door and most of them to be bought come pre-hung these days – as was the case with the one I purchased. so how did I take the old one out – I cut the casing with my recip – took a whole minute. I would go with a decent circ as the first purchase. Cutting straight and square is a great start to projects. Table saws are great-if you have the room and the money. I bought a jigsaw first, eventually got a circular and recently got a recip saw. I guess I’d go with getting a good jig saw first. One can buy a usable circular saw at a pawn shop for $20, add a good blade and it will work OK. Generally, if the motor spins smooth, with no wobble, it will do an acceptable job, maybe at most you will need to check the squareness of the shoe. However, if you get a cheap or used jig saw, you are far more likely to get one that won’t cut square, or will have wobble to the blade you wont see until you actually cut with it. Especially when the use will be ‘small projects’ it makes me think the jig saw will be the better choice, as small projects often use several types and thicknesses of materials, which a jig saw is better suited for. Simple: If your initial projects lean heavily towards using sheet goods and do not include curves, then go with a circular saw. Otherwise, jigsaw. Given the original question, it depends on what “small projects” means. It would really depend on the type of projects Doug’s friend wants to tackle. Does the sawing device need to be portable, or can she bring the project into her garage, basement, etc. or she need to bring the tool out to the project? Not really, I’ve made some poor tool choices and spent way more on other tools that sit around not being used. So much I could have bought a really nice bandsaw instead. It sounds like you are happy with yours though. The cordless circs are much safer than the corded. Watch some YouTube videos by diresta and shop addict to see what’s good for your project. I’d imagine jigsaw would be better for diy projects but really it depends on your project. Remember dull blades are dangerous because they force you to push hard. I ended up getting both as hand me downs at the same time due to the passing of a relative. With the projects I have been doing I use the circular saw far more than the jig saw. In fact I m not sure if the jigsaw has been out of its box since I got it 6 years ago. All of the projects that I can recall it being an option were done better or easier with the circular saw. There may have been a couple things that could have been done with the jigsaw but not the circular saw that i did with a vibrating multitool instead. cheap jigsaw = bad. Cheap circular = works with decent blade. cheap multitool = works with decent blade. Cheap circ +cheap multitool > quality jigsaw for the average homeowner. I prefer reciprocating tools more in general because I perceive them to be safer. Theres not much of a kickback when the blade catches a hidden nail or something. But then again, I just got my finger pretty good with a chisel so all tools need to be used safely. Unless the projects are mainly straight cuts on sheet goods, I think The jig saw is a better choice. You can run it along a straight edge to get a relatively straight line. I think Stuart already hit most of the other pros and cons. Also a circular saw is almost always included in the larger cordless sets but a jigsaw rarely is. So in the future she is less likely to double on a tool. Thanks for the post Stuart, confirms my thinking with the jigsaw. but your comment ” You cannot use metal-cutting blades with a wood-cutting circular saw, or at least that’s what I’ve read, due to the motor design and what-not. ” puzzles me. once my older circ is got tired and I had the bananas to buy a new one, the old one got dumped next to the welder for cutting steel. not the first choice maybe, but i cut 1/4 angle iron and such with the circ and an abrasive blade. hard wear on the saw what with the metal particles binding the guard and i am sure wearing the bearings, but it does do the job. my oldest and most worn circ i keep with a diamond blade for cutting concrete and and also use that one for hardiplank. The metal dust is red hot and will melt anything plastic like the guard retractor lever (as well as ignite any leaves on the ground 🙂 ) but it does work. or have i failed to check the rpms for the blade with the saw? I’ve heard several reasons why you shouldn’t use a metal-cutting with a wood-cutting saw. The first reason that came to mind is that the motor can isn’t sealed against metal debris, which can cause issues. Hot metal hitting non-metallic components, such as the guard – as you mentioned – is another reason. Motor RPM, as you also mentioned, is also a big reason. Metal cutting blades are often designed for slower-spinning metal-cutting circular saw motors. Metal-cutting saws and blades are often smaller than wood-cutting ones, which I guess is to help prevent users from mixing and matching them. I definitely wouldn’t use an abrasive blade in a circular saw – that’s just asking for quick and maybe even hazardous failure. Stuart, they actually make abrasive blades designed to be used in a circular saw. Myself, I would be leery, and would never think of doing that unless the saw had all-metal guards, but I know they are out there. Agree in general! Top-end jig-saws can, with care, make good cuts close to those of a circular saw, but with much added versatility as previously noted…. not so with cheap jig-saws. However, a cheap circular saw and good blade can make some decent cuts, far better than a cheap jig-saw. How much one spends and precision expectations should also to be considered. When I bought my house shortly after I got a jigsaw. Nothing crazy, I got a decent Bosch on sale for about $80 and couldn’t be happier with it. Sure there are $30 jigsaws out there but they cut like a $30 jigsaw. The thing is a beast, cuts through 2x’s with no issue and the quality of the cut is really only limited to as who’s behind it. At some point I’ll get a circular or miter saw, but the need hasn’t arisen yet. I’ve done things with the jigsaw a circular saw could and many more it couldn’t so I’m happy with the route I took. Also, good blades can make a cheap saw better, but bad blades will make the best saw worse than anything else. I’ve built several large buildings, remodeled two homes, and built forms for several hundred yards of concrete all for my own use and I’ve never owned a jig saw. I’m not into crafting, I build substantial things I need. I don’t need a little saw that’s one hundred times harder to make a straight and square cut with, and in many applications is just a toy. Try building a deck with a jig saw, and get back to me…..
Well, since my deck has a couple of trees growing through it, and I didn’t want to just frame around them with ugly squares, my answer is … Just get both saws and have fun! Trees are prone to a phenomenon called growth. Most people cut oversized squares to account for this. Maybe the prospective buyer should let the first project help make the decision. 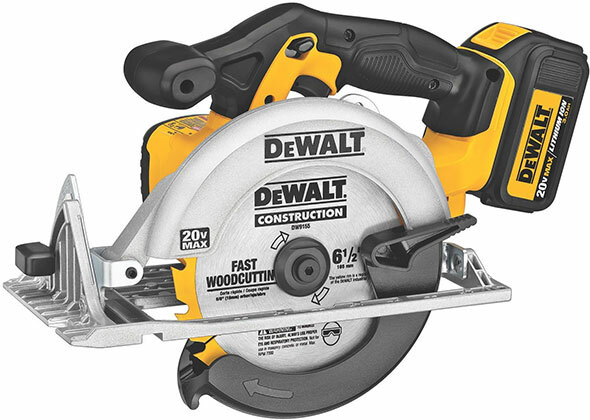 If it involves framing and/or sheathing/plywood – then a circular saw plus a good blade would be the logical choice. If money is an issue – then stay with a decent corded version. If the first project is some sort of craft – with intricate curves or circles to cut – then a jigsaw would seem the logical choice – again maybe a good corded version to keep cost down. A reciprocating saw – as a fist choice ? – only if demolition was the principal work. I think back to my first stationary tool purchase in the 1960’s – which was a top of the line Craftsman radial arm saw. I should have listened to those who said that I would have been better served with a table saw. The radial arm saw (all the rage at the time) slowly gathered (rather than made) dust – and I ultimately bought the sliding table Unisaw that is still at the center of my shop. The appeal of the RAS – was advertising that said that it was a jack of all trades tool – the reality was something else – especially considering that I was a budding furniture builder and cabinet maker. All this says is that you live and hopefully learn what you really need as you work with your tools. Great article! I agree, jigsaw over circular saw. The very path I took almost 30 years ago. Sound logic then and now. As others have said, the decision could be guided by the types of projects the person was most inclined towards. But, without any more information, I’d go with a circular saw. Yes, a jigsaw is more versatile, but I believe a circular saw is, overall, more critical to own, if I had to start with only one of the two. 1. One of the best presents I ever received was a Japanese hand saw (cuts on pull stroke) from a carpenter friend. I had never used own before, and I immediately fell in love. It’s a great (and inexpensive) present to give (or receive), and some companies make beautiful looking and feeling ones that enhance the giftiness. 2. Back to jigsaw as a present. I own a Bosch jigsaw (among 8 different kinds of electric saws alone). And it’s far and away my least favorite electric tool simply because it’s too big for my hand (and I can palm a basketball, so I don’t really have small hands). I have a friend who has a Bosch with a “barrel” handle (the kind shown at the top of this post) and I am incredibly envious. I’ve used that tool, and I practically drool every time I do: It’s such a pleasure to hold and control. In contrast, my Bosch has a a “D” handle and it’s impossible for me to control comfortably. I cannot guide the tool and reach the toggle on/off button without using my other hand. So, learn from my mistake: If you’re buying a tool for another person, especially a friend with either very large or very small hands (possibly like your female friend), be mindful of ergonomics. In the case of a jigsaw, I’d certainly go with barrel handle for a female friend. I’m in the camp of circular saw. I have both and rarely use my jigsaw. I think I’ve used it maybe a dozen times in the last 5 years. However, I seem to use the circular saw at least once every week or two. I suppose, like others mentioned, it depends on the projects you tend to lean towards. 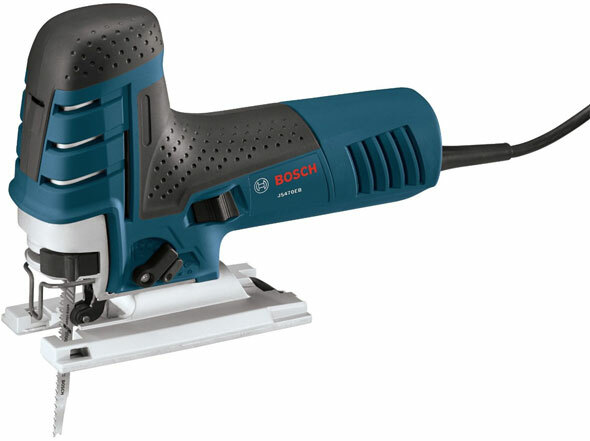 Part of my lack of using my jigsaw is probably due to also owning a Bosch reciprocating saw (both a corded and the 12V compact battery version), and the Dremel version of an oscillating tool / “multimaster” type. As you’ve noted, “…it depends on projects you tend to lean towards.” I have neither a jigsaw nor a circ saw, although I have thought about buying a jigsaw from time to time. But the lack of a project compelling me to buy one hasn’t arisen. Some circular saws are rather large and powerful (think worm-drive), so they can be difficult to use. I think I’d rather have a table saw over a circular saw to accurately cut long boards. Of course, they’re not much help for trimming the ends of boards on a backyard deck. A lot depends on what you’ve used more, though. If you’re comfortable with using a circular saw and have developed facility with it, that may be all you need. There’s that old story about having used a shovel with a twisted handle for so many years, the farmer allowed as how he probably couldn’t use one that had a straight handle anymore. I do have a reciprocating saw, but haven’t used it for a demolition job, which is what I always associated them with. I always figured I’d buy a corded Milwaukee Sawzall, but bought a cordless DeWalt three years ago instead to trim trees and do other yardwork. Go figure. So, Doug, what does your friend want to do more of, or rather, what would she do more of with one or the other saws? I think of circular saws more for outdoor construction; quick and dirty, to cut a lot of sticks for building things, like a house structure. I associate a jigsaw with more precise work (finish carpentry and the like). Is her new home a “new” house or a fixer-upper? If the latter, what kinds of things will she need to do? Tear out a floor or a wall, build a new staircase, or? Start a conversation over a cup of coffee about what she wants to do first, and she may reveal which tool she needs most. What about an oscillating saw like the Fein multimaster? A jigsaw served me well for many years before I bought a circular saw. With care and a bit of patience you can cut most things that you can cut with a circular saw as well as the added bonus of being able to cut holes, curves etc. I built many a sub box with that jigsaw. I have a handheld circular saw, jigsaw, and recip saw. All Bosch 18V Cordless. I love them all. I built a whole lot of garage and basement shelving with 2x4s and plywood. I also built a workbench on wheels. I absolutely could have done this with just the circular saw. I could have done it jigsaw but I imagine it would have taken 4X longer, and cuts would not have been as straight. It’s funny, reading the post and other comments, jigsaw was my answer but when I started typing and thinking… NOPE! Circular Saw. It someone want’s to stay on budget – Jig saw is quite cheap saw – which still can do the work. But good Jig and cheap circular is not good options. Jig saw for sure! My first one, a Makita, did me for 20 years! i am not much of a wood working guy but it got plenty of use cutting sheet metal, square and rectangle tubing, round pipe plus 3 home renos. Rectangular steel can make a good straight edge….just flip it over after the first line and make sure it’s straight! It’s funny when you think back after reading an article like this. When I bought my house my Dad bought me a Black and Decker jigsaw. I cut my counter tops with it, the hole for the sink and all of my home projects with it. That’s when I fell in love with DiY and even started woodworking. I have my jig to a good friend who needed to borrow some tools (I don’t lend tools….) and now have a large collection of Festools as well as others. I guess I’m with you Stuart. I would get a jig saw. It served me well for many years for most of my home projects. My second tools was my Dad’s US made Craftsman circular saw. I replaced the plug and added a new blade and she is still cutting today. Buy the tools you can afford as your projects require them. I prefer to buy tools instead of paying tradies, just give everything a go. Then you’ve got that tool for next time. On average IMO, a circ saw usually comes 2nd, after a drill. Unless doing remodeling or building a dog house, jigsaw. If the commercials are to be believed, isn’t this the perfect use case for the rockwell blade runner or whatever their upside down stationary jigsaw is called? That tool is in its second iteration – https://toolguyd.com/rockwell-bladerunner-x2-saw/ . I’ve been itching to give it a try, but never too strongly. I would go with a jigsaw because, as others have stated, it is simply more versatile. However, it would quickly become a nuisance if you were cutting things often enough. This question isn’t very realistic because even if it were an either or option for some people most of them would surely be able to afford the buying the second shortly after the first. I doubt there are many situations where one only had the space to store on of the tools, either. However, it was the question presented, so my answer would be “buy a nice jigsaw first.” You will be able to do many things with it. 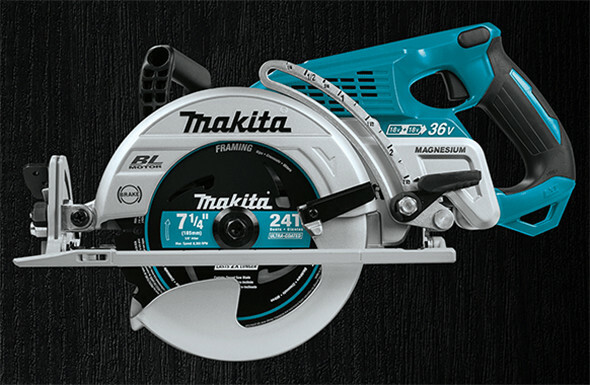 When you get to a point where you want a circular saw to complement it, you’ll have an easier time finding a cheap and decent circular saw if you don’t mind used tools. Circular saws seem to fall from the sky. I have 4 sitting in my garage, and I only purchased one of them. Two of them should probably be thrown in the trash, but I’m not one who can do that. Wow. A lot of opinions on a seemingly simple question. I’m in the circ saw camp. Most “small projects” that can’t be accommodated by a circ can be accommodated by a hand saw of some variety (and a little patience). Any larger project is going to be much easier and faster with a circ saw. A circ saw is also a decent stand in for a miter or table saw while a jig saw is a slow and annoying stand in for anything else. Give her the circ saw and tell her she can borrow your jig saw for the blue moon when she actually needs to cut a curve. Or exceed all her expectations and break your piggy bank to give her a TS55REQ that you can borrow. A good jigsaw can do what a circular can do with a proper guide. A circular can not cut circles. I’d start with a jigsaw and then move to the corc then a recip. Oddly enough we’ve had a HF recip in our shop to offset all our cordless recips in the event you need to make long duration cuts and it’s going on somewhere around 6 years of pretty heavy use. And I really don’t like anything with a motor from hf. Take her to the store and spend some time with the saws. Don’t try to influence her decision. Let her pick what she thinks will be best for what she has in mind for the first projects she has planned. I think that this comes down to budget. If you want to spend $30, get a cheap circular saw. If you want to spend $75, I think that you are right about a jigsaw. Cheap jigsaws seem to always have very mixed reviews. Sounds like if she needs a tool she’ll buy the one she needs/wants herself! I bought a cheap m12 version and was planning on getting a hackzall, circ or jig for the same battery, but keep finding in the end that this cheap multitool does what i need for odd maintenance and simple construction jobs without the need for multiple tools. Of course at some point i’ll probably get the m12 circ saw for longer, straighter cuts, but i’ve been amazed at the ability of the oscillating tool to make do in all sorts of scenarios. I realise this is an old post but still of interest (at least to me). Totally agree that it all depends on what kind of projects you have. I’m a homeowner/DIYer and years ago I bought a cheap jigsaw because in my ignorance I didn’t even realise there was another option. 95% of what I used it for (before it died) was (not very) straight cuts, some pretty long. Cutting furniture board for shelves, worktops, cold frames for the garden, etc. The other 5% was just rounding the corners which I could have tidied afterwards with a hand saw. Now I wish I had bought a circular saw back then. I say that having never used one. Maybe I would have just cut my fingers off. But I’ve just bought one now, so I guess I’ll find out. I do have a mitre saw for shorter cuts.